General John R. Lewis, United States Army, retired, one of the best-known men in the Grand Army of the Republic and in Army circles, died suddenly in Chicago on Thursday. 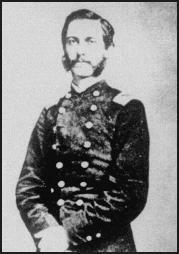 At the outbreak of the Civil War, General Lewis mustered a company of men known as the Fifth Vermont Volunteers, and was commissioned Captain. He was sent South ans rose to the rank of Brevet Brigadier General. He took part in the battle of the Wilderness, where he lost an arm. In 1872 he retired from active service in the Army and went South, settling in Atlanta. Taking up work there, he soon became identified with the public life of the city, and was appointed Postmaster. Recently he gave up life in the South and traveled in the West in search of health. He went to Chicago nine weeks ago. He was at that time ill, and, owing to his condition, but few of his Army friends knew of his presence in the city. He was born in Edinburg, Pennsyvlania in 1835. He leaves a wife, who, with a son, is in Dawson City on the Klondike, where they have resided for two years. The other son is detailed to West Point as an instructor. The funeral will probably he held at Arlington Cemetery, Washington, although the exact place will not be determine until definite worl is received from Lieutenant Lewis at West Point. NOTE: His son, Frederick Worthington Lewis, Brigadier General, United States Army, is buried nearby in Arlington National Cemetery.